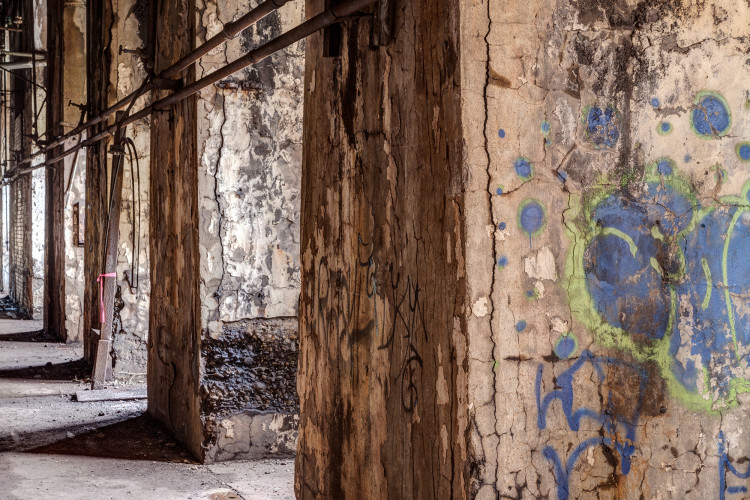 Downtown might be considered the city’s ultimate phoenix, rising from the ashes of the industries that occupied the Point and both riverbanks for much of its history and beginning anew. Not long ago, some streets downtown were distinguished more by the reasons to avoid them than by their attractions. Today it’s a different story and downtown is the stuff urban dreams are made of, especially certain sections. Have you seen the 900 block of Penn Avenue lately? 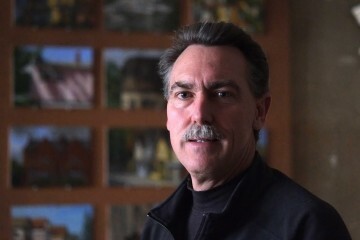 That block of Penn, lined with trees, stylish restaurants and architecturally noteworthy buildings, is one of developer Todd Palcic’s favorite places. “This block is a destination block,” he says. “There’s no other block (downtown) that brings in this kind of spending on dining, residential, et cetera.” The etcetera could be referring to the International Jazz Festival, among other festivals recently held there, which brought thousands of people to the street on a warm summer weekend. 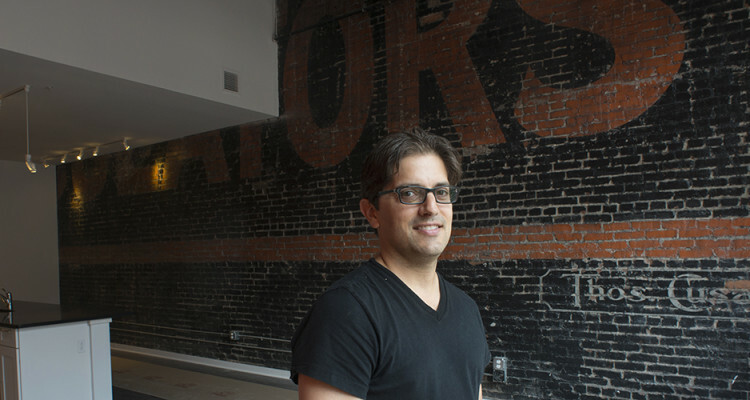 Palcic has good reason to be optimistic about this street: he’s just launched his third real estate project on Penn Avenue in nearly four years. Lando Lofts, at 907 and 909 Penn Avenue, will be his first rental building thus far and the only one on this stretch of the street. Exterior of the Lando Building. Photo by Martha Rial. The Lando Building project is a microcosm of the larger trend in Pittsburgh today: the melding of old and new. The buildings at 907 and 909 Penn Avenue were built separately in the 1890s, by a real estate developer not unlike Palcic. A third adjoining building was planned but never built. The evidence of each building’s separate construction lives on inside, thanks to enormous hand-painted signs that once beckoned to pedestrians and motorists on Penn Avenue, hawking radiators and furniture. These bits of the past now comprise part of the neo-industrial charm of the exposed brick walls in five of the 24 apartments in the building. Alas, that is the extent of the building’s original interior detail. 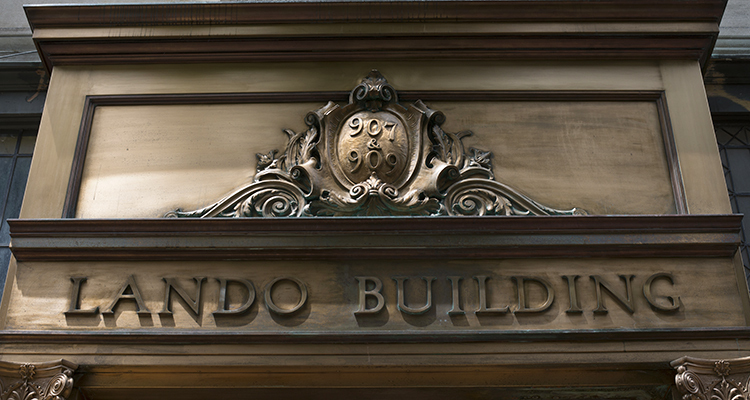 The Lando Building housed offices until about five years ago, and Palcic cites an extensive 1980s remodeling in the loss of interior charm. The exterior, however, has maintained its early 20th century look. In the 1920s, the building’s original owners built out the facades of the two separate buildings to create a central entrance and lobby area. The result is a striking copper and brass doorway that is distinctive among the other historic exteriors in town. Leaded transoms top each retail storefront at the street level. The interior will be decidedly more modern than its façade. Official Warhol giclée prints and Dale Chihuly-style chandeliers will round out the “retro-contemporary, somewhat lofty feeling” he’s seeking to create. With the area’s major cultural attractions mere steps away and a forthcoming dedicated bicycle lane to Point State Park just outside the front door, future occupants of the Lando Lofts will literally have the city at their doorstep. Mark’s Grille will rejoin the panoply of restaurants that has come to occupy the 900 block of Penn Avenue over the past decade. A few doors down from the Lando Building is Nicky’s Thai Kitchen, with upscale Continental-style Nine on Nine just across the street. Also on the block are Seviche tapas bar and Sonoma Grille, both part of Big Y Restaurant Group and The Sharp Edge, a popular restaurant known for its extensive beer selection. Sienna Mercato, at 942 Penn Ave., is a triple-decker restaurant comprising Emporio, with gourmet meatballs; Mezzo, with wood-fired pizza opening later this year; and Il Tetto, a rooftop beer garden. TenPenny, at 960 Penn Ave., rounds out the upscale casual options. A short walk away, in the midst of the Cultural District’s theaters, Franco’s, Meat & Potatoes gastropub and Six Penn Kitchen round out the street’s extensive offerings. Decades of investment, activism and advocacy by organizations such as the Pittsburgh Downtown Partnership and the Heinz Endowments have shaped the Golden Triangle so it is now a true neighborhood. Streets that were once deserted after dark are now humming with diners, theatergoers and art patrons. The changes in Pittsburgh over the past fifteen years have been “well beyond my expectations,” Palcic says. 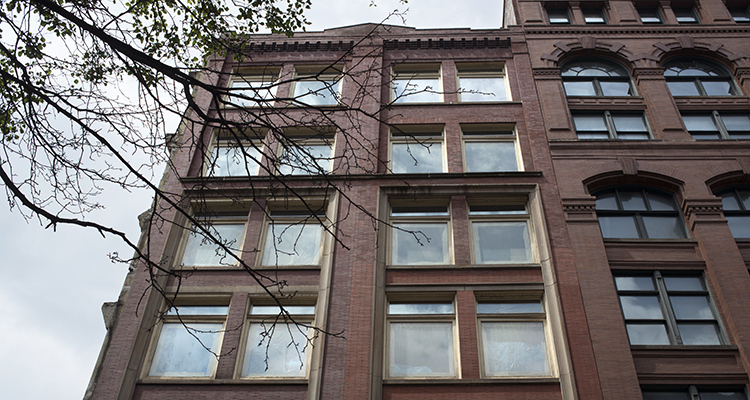 His building is the latest of many that have been beautifully renovated on Penn Avenue and throughout downtown. “At the same time, it’s certainly following the same path that other cities have taken through the world and on the coasts,” he adds. The view from the roof of the Lando Building, future site of an outdoor space for residents, complete with bar. Photo by Martha Rial. Palcic looks to “middle-sized, dense and thriving European cities” such as Copenhagen, Lyon and Zurich as models for what Pittsburgh could be in the coming decades. 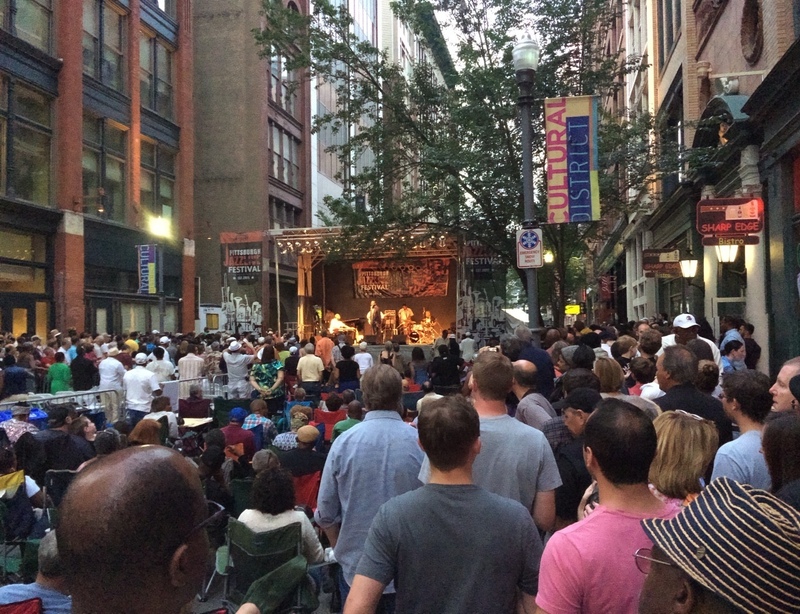 The International Jazz Fest in the 900 block of Penn Avenue.